Back to school means consumers are scanning the web for the hottest new educational tools on the market. Ok, so I got suckered in too, despite wrapping up college courses almost 20 years ago. The cool new educational tool I picked up was the Google Chromebook by Samsung. We recently posted 21 Stats, Facts, Uses and Ideas for Chromebooks in Education which provided some really great ideas to help get started. Already at the top of my mind was the obvious integration with Google Apps. Reportedly, 5 million businesses are already utilizing this solution for their business (didn’t take the time to independently verify that so consider the source, since it was Google). In case this is your first time by the Secure Edge Networks website, you might be interested in what exactly “we do”. Well, we like to help. One of the ways we help is to identify what administrators are hoping to accomplish with technology in the classroom. Depending on who we are speaking with, the “wish list” can be long while the budget is short. So, most often schools want to start off any secure wireless network deployment or upgrade with saving money. For those that are looking into a 1:1 program implementation, we noticed an uptick in the number of school districts doing their research on Chromebook as a wireless device solution that can be very affordable. In some cases, the Chromebook can be 40% more affordable (check your pricing discounts for buying in bulk - if you’re a school district with a large capital investment). Right now, there are two leading manufacturers of Google’s Chromebook, the previously mentioned Samsung and Acer. Both have a solid look, but being as most wireless devices in our home, i.e., TV, BluRay, etc. are Samsung devices, that’s the manufacturer that I went with. The day after receiving shipment, I decided to bring it into the office for a full day of “testing” the new wireless device and noticed a bit of a technical hiccup with the newer model. 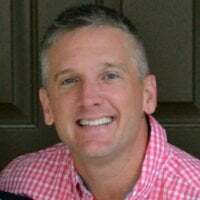 Also Read | "Update: How Students are Using Technology in the Classroom 2013"
I was unable to connect to the wireless network. Obviously, that’s a problem, especially if teachers have been planning lessons based around the safe and secure operation of these wireless Chromebook devices. And that’s part of the issue with today’s advanced security features in many school wireless networks. As frustrating as it might be, a few wireless network settings might need to be manually configured on the newer models before the full power of the Chromebook is unleashed. Ironically, at the exact same time I was having an issue connecting to our business wireless network, one of our customers was having a similar issue on their campus. (Good thing I brought my new Chromebook into the office that morning, right?) Our lead engineer was able to take a closer look at all the wireless network settings on the Chromebook device (there weren’t any other connectivity issues with the plethora of devices on my desk or person) and noted that for whatever reason, these need to be manually configured. 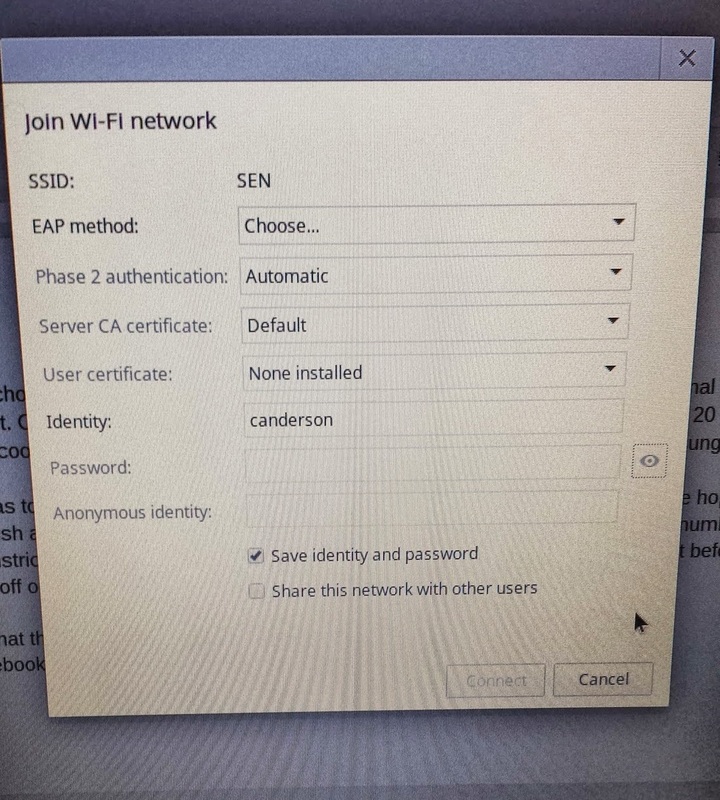 The SSID was visible, so it was a matter of changing the EAP method, the Phase 2 authentication and verifying the User certificate. Obviously, it’s going to take a person familiar with your IT infrastructure to determine the appropriate settings for Chromebooks on your school wireless network, but it’s something to watch out for since the settings on these new wireless devices may have to be configured manually. Our lead engineer broke it down for me in the following manner: The device doesn’t know what you want, you have to tell it what to do. Onboarding integrated with your wireless network solution can determine profiles for device. Windows assumes its on a domain, with BYOD you’re not part of the domain. Android devices don’t participate in joining a domain, have to be hard set, while iOS is more automated. Onboarding knows the parameters, pushes those to the devices. Relying on the end user, who doesn’t know how to set up the supplicant unless they have instructions is going to frustrate everyone. Also Read | "The Problem with School Wireless Network Passcodes"
So, if you’re going to allow Chromebooks in the Classroom, just be ahead of the curve in getting the appropriate settings to the end user with specific instructions on how to adjust with the newer models. Relying on your IT Department to “touch” every single one of the devices and select the appropriate settings is an inefficient use of your resources. 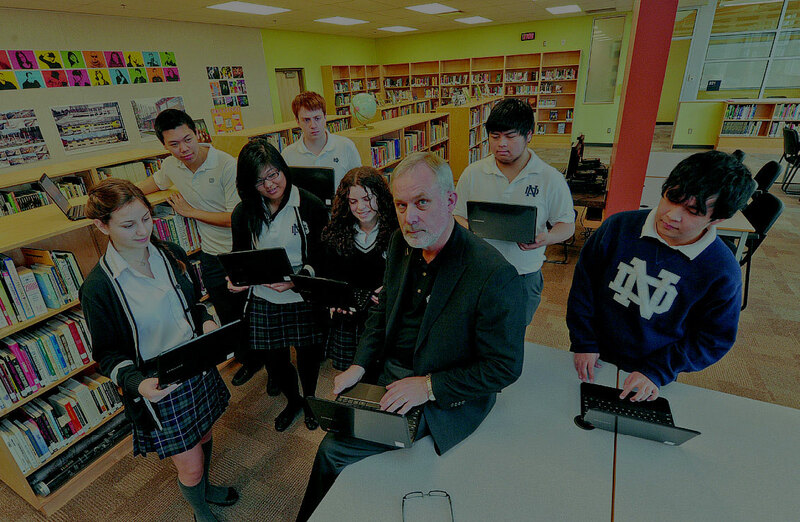 Today’s tech-savvy generation loves having mobile technology in the classroom. Chromebooks, iPads, smartphones, whichever you choose, can all make great learning tools if implemented securely and correctly. That’s where we can help. 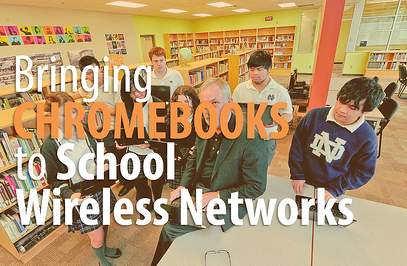 We are experts in mobility on school wireless networks. You can contact us here with any questions or for a free consultation.